Damnview: Built From Nothing is a simulation sandbox game about occidental culture and its different social classes. Immerse yourself into a decadent urban sprawl, all while working precarious jobs where you will either be absorbed into the system, or cast out of society’s machine. Damnview: Built From Nothing is a game about despair, the hostility of capitalism, and the need of seeking for a better future. The city you dwell in takes on its own role as the machine that capitalism feeds – a machine that can swallow you whole and spit you out a broken person. How far you’re willing to go to survive and succeed in a place like this is in your hands, and sometimes being smarter, meaner or just not giving a damn is the pathway to success. The size of the scar you leave on the city streets depends entirely on you and your decisions, the people you meet, the people you help or the people you choose to hurt. 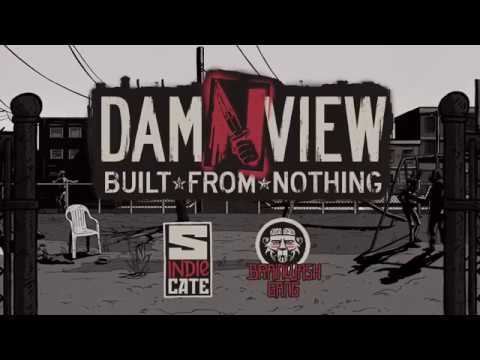 The upcoming Damnview: Built From Nothing PC, PS4, Switch and Xbox One release date is 2019 in the US and the UK. Notify me when Damnview: Built From Nothing is available.